Efrem D. Mandelcorn MD FRCSC, presents a traumatic cataract caused by a paint ball injury. 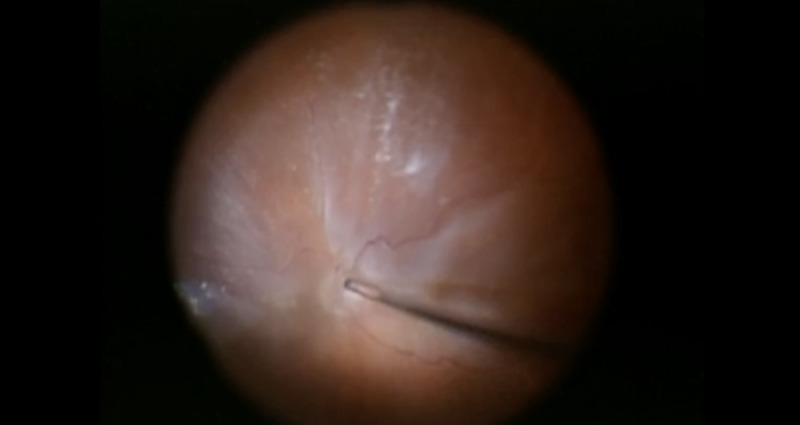 The case includes a pars plana vitrectomy, lensectomy, and placement of a scleral fixated IOL. Excellent surgery. Thank you for sharing this with us. To 'balaji': yes, put your needle through the sclera adjacent to the previous puncture site so not to cut the ab interno prolene throw with the needle tip. Beautiful surgery.When you go through the conj opening,do you make a separate scleral entry on the outside surface of the flap?